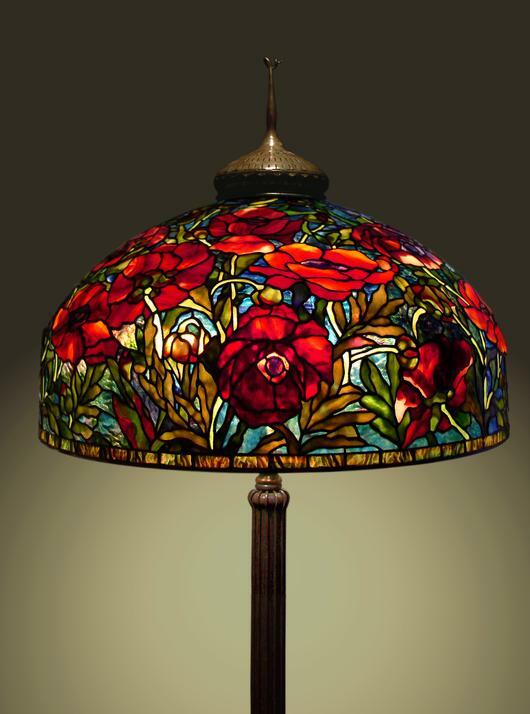 If you've ever stumbled across a project you love on DelphiGlass.com or read an Artist Spotlight in our catalog and wondered where we get all the project images the answer is simple. Most of them come from people like you - our customers - and at Delphi we love to show off your work. We regularly browse the Delphi Online Artist Gallery for projects and artists that inspire us to share. Open your own Delphi Artist Gallery and upload your projects. You could find your art features in a Delphi email, on our Pinterest boards or in an upcoming Delphi catalog. Delphi's Pinterest boards are a great place to find inspiration and get fresh ideas for your next project. If you want to get creative promote your studio or gallery or just show off your art - let Delphi help. Follow us on Pinterest to keep up on the latest trends, find beautiful projects and favorite supplies organized by season, theme or color to make it easy to browse. In 2014 we created a Pinterest board dedicated to every color. Our board Breathtaking Blues was a top pick with our followers. 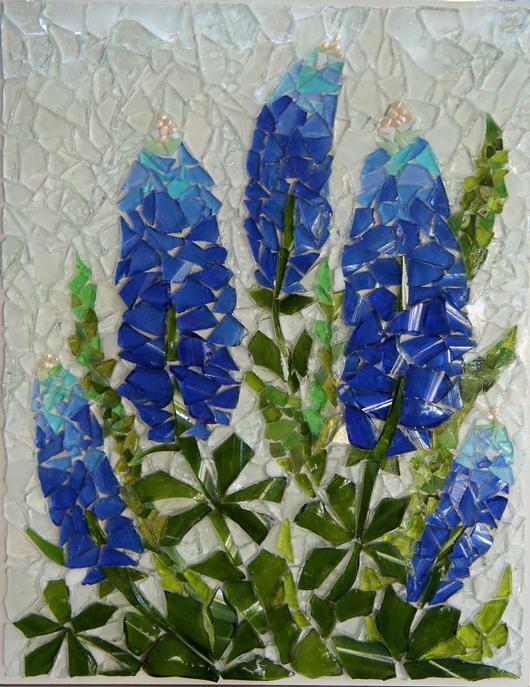 Pins most frequently re-pinned from the Breathtaking Blues board were the Blue Bonnets mosaic by Cork and Glass Mosaics, Dancing Jellyfish by artist Karin Azinger, and Blue Moon by Dancing Light Fused Glass Studio. 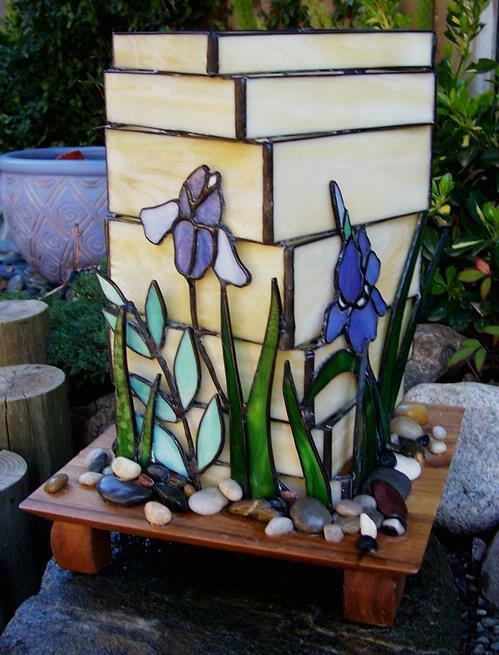 Others found inspiration in sensational stained glass designs The Garden by artist Elizabeth Apel from the Glass Garden Art board. 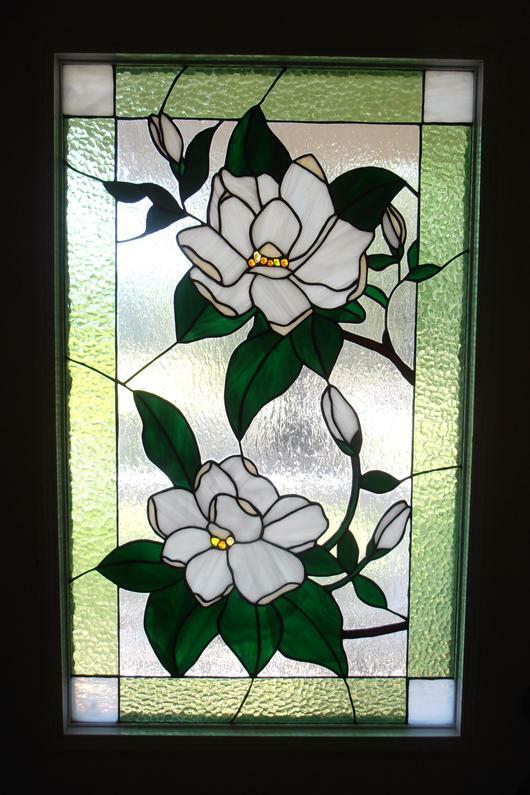 Magnolia Bloosoms by artist Janet Palm from the Glass Flowers board and Cardinals in the Spring by artist Nancy Wiswell of Ladybug Stained Glass, from the Birds of a Feather board. Sometimes big inspiration comes from small projects. 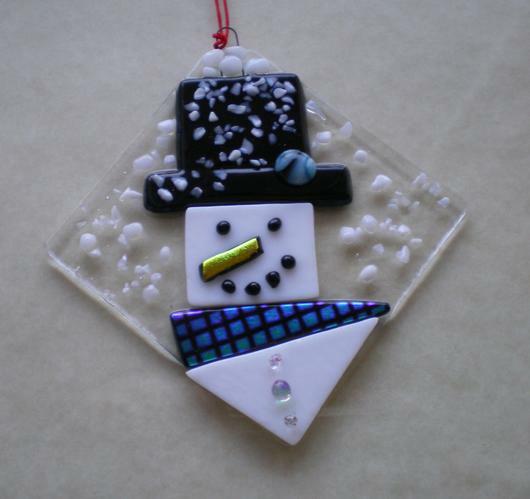 Amongst the most re-pinned projects were a Rainbow Butterfly pendant by artist Mandy Codd of Dichroic Creations found on the Glass Jewelry to Admire board, and the Snowman Ornament by artist Ilene Goldman of Avant Gard Jewelry from the Season's Greetings board. 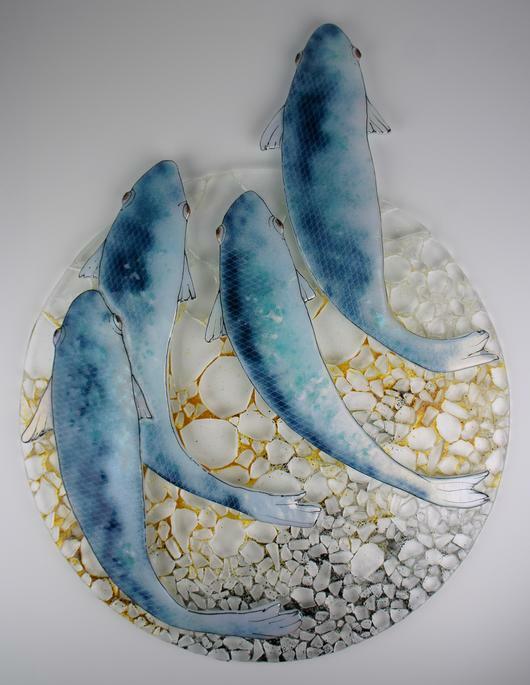 The ever popular Art Glass Festival Winners board always features amazing works created by winners of our annual show. 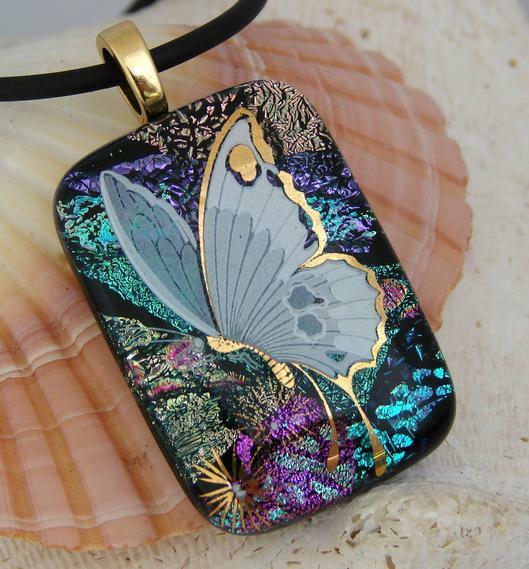 The most popular pins were a gorgeous fused piece called Blue Fish by artist Michelle Rial of Glass Trans-Fusing and a fantastic Oriental Poppy lamp by artist Scott Riggs. 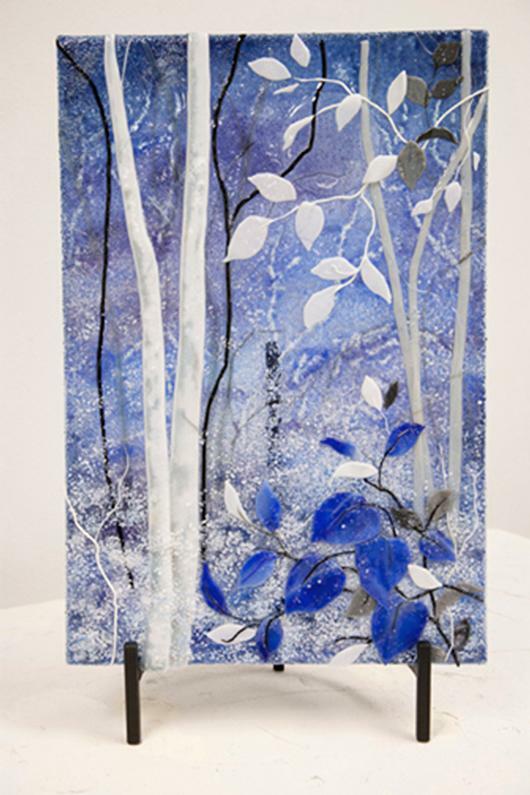 Don't forget the 2015 Art Glass Festival is right around the corner. Now is the time to start thinking about entering. We will begin accepting entires on February 21st. 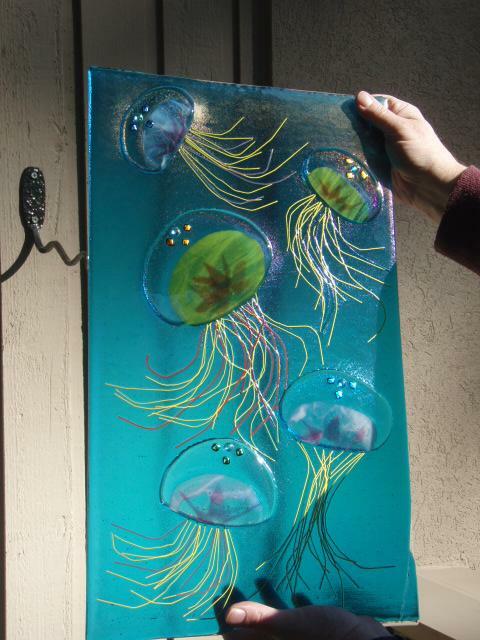 Find all the Art Glass Festival details now so you don't miss out on the fun! Whatever inspires you to get creative this year we look forward to seeing your artwork. Sign up for your online gallery account today and follow us on Pinterest - you might find your own work featured there! Have a Blast in Your Own Delphi Glass Private Party Class! 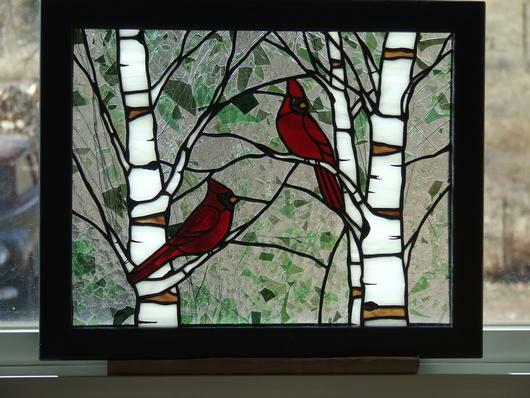 Learn a New Way to Be Creative with the New Class Schedule at Delphi Glass! 2018’s Pantone® Color of the Year Goes to Pantone 18-3838 Ultra Violet!